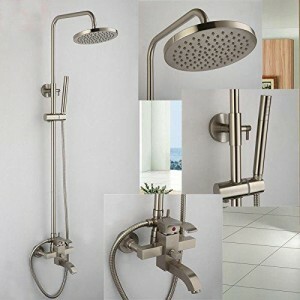 Function: Bath Shower Faucet Set. Rain Shower Head:8 inches (20cm). Hole center distance on the wall:.15cm(6″). Sliding bar : 70cm to 120cm adjustable(27.5″ to 47″).